The Choice is Easy… Just Press Play! We'll do it your way, just Press play! Recently, I was interviewed by Boston Voyager Magazine to discuss Press Play Entertainment for their “Inspiring Stories” section that highlights local entrepreneurs. I’m excited to share the newly published interview from their website. Much love to Jodi and Dylan who continue to support me, even when I have had to miss special events, baseball games, and other family time. Please know, this is all done to support our family. A big shout out to my crew over the years (Alan, Evan, Russ, Rob G, Rob W, Sean, Eli) and especially Jay, my partner in crime, who continue to be the best folks to work with and know how to throw a party and put smiles on clients’ faces! And, finally, a special thank you to Jeff Glassman for being a great mentor and like a big brother to me for over 20 years. Without you, Press Play would not be what it is today. Contact us today to book your next special event. Great summer rates available for graduation parties, summer BBQ’s, and other events. Are you, or anyone you know planning a Bar/Bat Mitzvah, Wedding or other special event in 2017 or beyond? Have you ever been to a party planning expo before? Well, come meet Press Play Entertainment and other great party vendors at this year’s “It’s Your Party” expo at Temple Israel in Sharon, MA. The expo is scheduled for Sunday, February 26, 2017 from 10am-2pm. These expos are a great way to meet, compare, and shop for the best DJs, in addition to caterers, party planners, photographers, videographers, and other party vendors. Think of it as one-stop shopping for all your party needs, and, most of all, “It’s Your Party” is FREE to attend. There will be free samples, giveaways, and more, so don’t miss out on this great opportunity. As an added bonus for those interested in Press Play Entertainment, come meet us at the show and receive a discount on your next event package. Now booking in 2017 & 2018! Don’t forget to check us out on Facebook, WeddingWire.com, and Wedding.com for reviews and references. For more details, please click on the link below. Press Play has DJ’d over 40 events this year; including Bar/Bat Mitzvahs, Weddings, Sweet 16s, proms, and corporate events. Over the course of the year, we were able to keep track of the most played and requested songs for 2016. Here they are. Overplayed or new classics/standards, your choices in 2017 will be the judge. We are looking forward to seeing what makes 2017’s list! As always, CONTACT US today and ask about our great DJ packages! 2017 Wedding Wire Awards Winner! Press Play is excited to share the news that we are a Wedding Wire Awards winner for the 2nd year in a row. A BIG thank all of our clients, especially those who took the time to write reviews on the site on our behalf! Reviews and references are very important to our business. They help keep the word out there that Press Play is your go-to choice as a DJ provider and go a long way in helping us win new clients. There are multiple places to write reviews for Press Play Entertainment including; Wedding Wire.com, Wedding.com, Eventective.com, and on Facebook. (see below for links) It is never too late to write a review or become a reference. We truly appreciate the support! All of us at Press Play would like to wish our families, friends, partners and clients a very Happy Holiday season!! Thanks for a great year! We, especially, want to thank all of our current, and past clients, for an amazing 2016! We truly enjoyed helping you celebrate your wonderful events; whether it was your son or daughter’s Mitzvah, your wedding day, corporate holiday parties, Sweet 16s or many other special events. Thanks again for choosing us! We want to send a big shout out to our vendor friends and partners who have helped us create spectacular experiences for all of our clients. They continue to go above and beyond and we appreciate all of the support they have provided us. We would highly recommend any and all of these wonderful and passionate folks! Thank you all! Press Play had the pleasure of DJing many events/fundraisers, for some of Boston’s local organizations; including The Jimmy Fund, The Sean D Biggs Memorial Foundation, A Kid’s Brain Tumor Cure Foundation, and The Wayside Youth & Family Support Network. It was an honor being a small part of these important events. Special Thank You’s to the town of Needham, MA, our home base, the Needham Business Association, Temple Beth Shalom and all of the elementary schools and businesses for welcoming us and choosing us to help entertain our local community. We are big proponents of “local supporting local” and could not have asked for a better community to be a part of! And, of course, I cannot thank my outstanding team of SuperStar DJs enough for their amazing effort, dedication and passion for providing the soundtracks for all of these great events. Alan, Russ, Rob, Ekko, Evan, and, especially, my right-hand man Jay, I could not do this without you. You guys are the best! Finally, I want to share with you a recent article from the Boston Globe, about a recent Bat Mitzvah. Jay, Evan and I had the privilege of DJing this Bat Mitzvah for a family friend. With all of the craziness of 2016, from the election to the global terror attacks and more, it was great to end 2016 with this amazing story of strength, perseverance, inclusion, family and community support. We were extremely proud of Zoe and her entire family. Wishing you all a Happy and Healthy New Year! We hope to see you, and meet you, in 2017 and beyond! 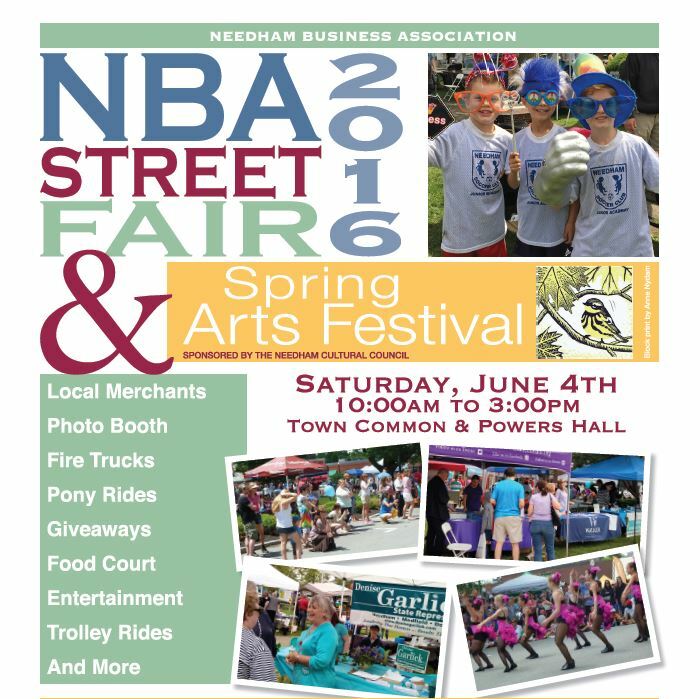 Come meet and support Press Play Entertainment and other great local Needham vendors at the annual NBA Street Fair on Saturday June 4th from 10am – 3pm. Lots of fun for the whole family; merchants, photo booths, fire trucks, pony rides, food, give-a ways, and much much more! Ask us about our affordable DJ packages for your upcoming Wedding, Bar/Bat Mitzvah, Sweet 16, graduation party, corporate events and much more. Don’t forget about our special Needham resident discounts.